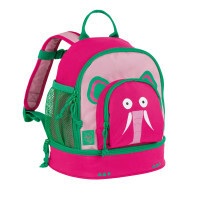 Well equipped for any adventure – with LÄSSIG’s Children’s Mini Backpack in the Adventure Design bus. 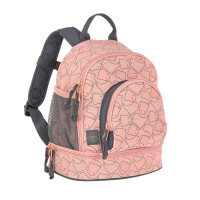 The special design feature offers three fabric stickers for children to create their own design on the backpack. 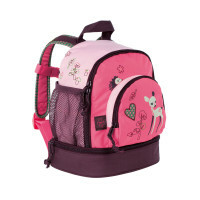 Product information "Mini Backpack Kids, Adventure Bus"
description & equipment On the way to new adventures! 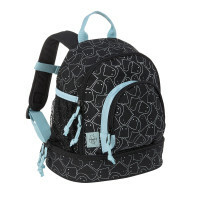 LÄSSIG’s Mini Backpack Children’s Backpack from the Children's Adventure Collection is the ideal companion for world explorers and adventurers. 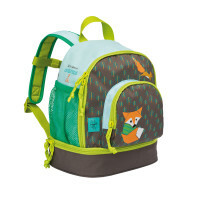 At kindergarten and on outdoor discovery excursions – this backpack’s water-repellent outer material is perfect for wind and weather. 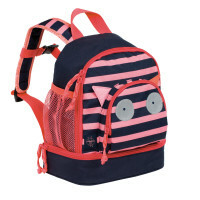 “Pimp your bag': The special design feature stimulates children’s creativity. 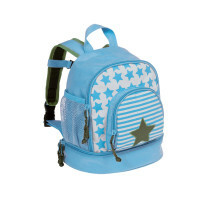 Three fabric stickers are included and can be stuck on the backpack as each child wishes. The fabric stickers can be used several times by taking them off and putting them in a different spot. 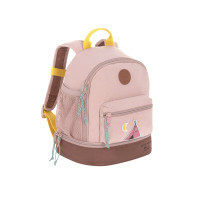 The trendy Adventure design in the two versions – in dusky pink with a tipi and in blue with a bus – combines warm earthy shades and yellow color accents, on both straps and handles. 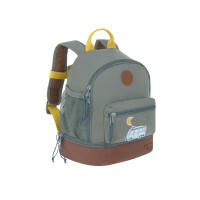 The backpack made of water-repellent outer material offers a large main compartment. In the large main compartment there is space for a change of clothes, sandwiches, fruit and snacks. If the food is to remain fresh for a longer period of time an ice pack can be placed in the separate compartment at the base of the backpack and secured by rubber retainers A drinking bottle can be stowed in the mesh pocket on the outside. A further pocket in front provides a safe place for smaller items like a key. 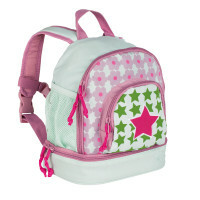 The padded shoulder straps can be individually adjusted to the child’s size and a chest strap provides extra stability. A clear name badge sleeve on the inside prevents any mix-ups. 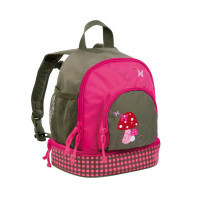 The children’s backpack is also available in LASSIG’s various designs in their other Children’s Collections.